Pour a large glass of milk. Or a strong cup of coffee. You also might wanna grab your fat pants. And some time set aside for a nap. 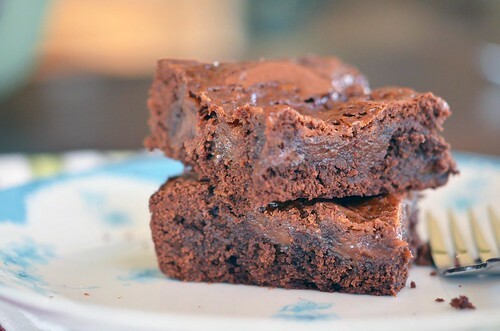 All necessary things when eating these brownies. Fat pants, only if you eat the whole pan, which I freakishly came close to doing…or wanting to do. I gave them away before I caved. Crisis averted.. I think chocolate and caramel is probably my favorite flavor combination. Easily. Hands down. Chocolate covered caramels are my favorite in a box of chocolates ( I am totally the one poking the bottom of the candies..shhh! ), Riesens are freaking awesome, Milkway..hello!, and anyone remember Black Cows? Pretty much a Sugar Daddy dipped in chocolate…the name is lacking, but they were fantastic! 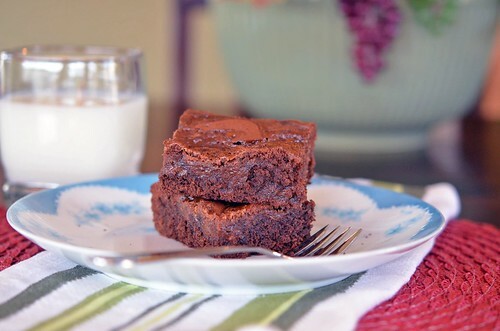 I remember making a version of these brownies when I was little. It was a boxed brownie mix and a caramel packet was included (which was not nearly enough caramel to satisfy my younger self) and I LOVED them. Then like your favorite jeans or running shoes…they discontinued them. It was a sad day. Betty Crocker…why?!? 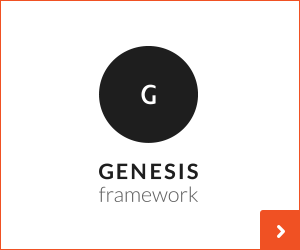 This sudden discontinuation forced me to create my own version…using as much caramel as I saw fit. Take that Betty! 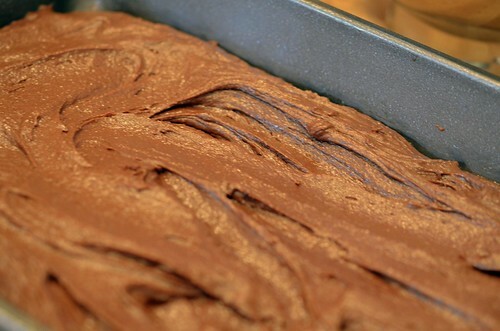 And you will need some brownie batter…I love brownie batter. I make brownies just for the batter. Fact. 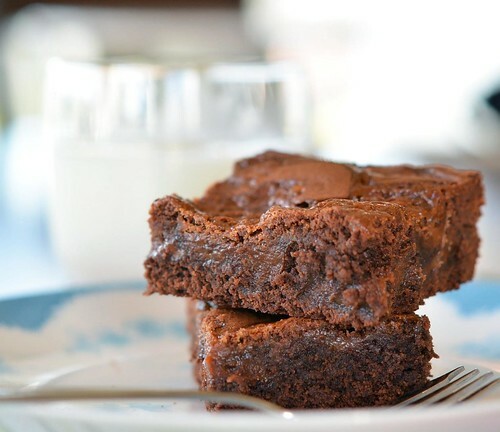 Now pull a knife through the batter and caramel…Guess what tastes better than brownie batter? 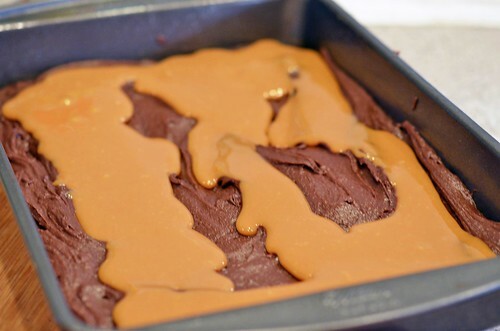 Brownie batter mixed with melted caramel…just saying. Preheat oven to 350°F and grease a 9 x 13 pan. Beat eggs until light and fluffy – about 5 minutes. Beat in brown and white sugar. Slowly add in melted butter, melted chocolate, and vanilla. Mix to combine. In another bowl, sift together cocoa, salt, baking powder, and flour. Add dry ingredients to wet ingredients, and mix to combine. Do not over mix. With a wooden spoon or spatula, give the batter a final stir, making sure everything from the sides and bottom of bowl are incorporated. 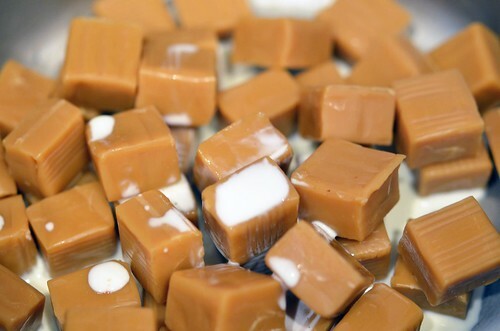 Pour into prepared pan and begin to melt caramels. In a medium sauce pan, place caramels (unwrapped that is!) and heavy cream/milk. Melt over low-medium heat, stirring occasionally. Keep a close eye on the pan, ensuring that the caramels do not scorch, lower heat if this does begin to happen. Once melted, remove from heat. 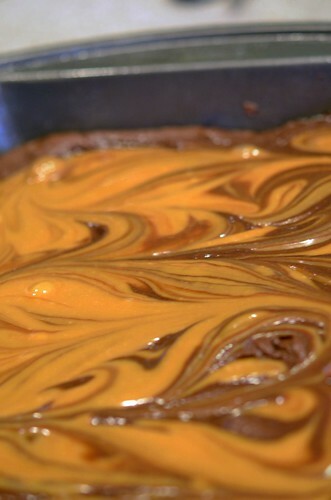 Once caramels are melted, pour caramel over brownie batter in 3 length-wise rows. Pull a butter knife through batter, going width wise and then length wise, creating a marbled effect. Bake in preheated oven for 25 minutes or until toothpick comes out kinda clean…a few crumbs sticking to toothpick is exactly what you want. Let cool on wire rack before cutting ( if you can resist! ). Pour a large glass of milk, adorn yourself with some yoga pants, and enjoy!